Turkey on the offensive to repatriate antiquities – restitution or blackmail? 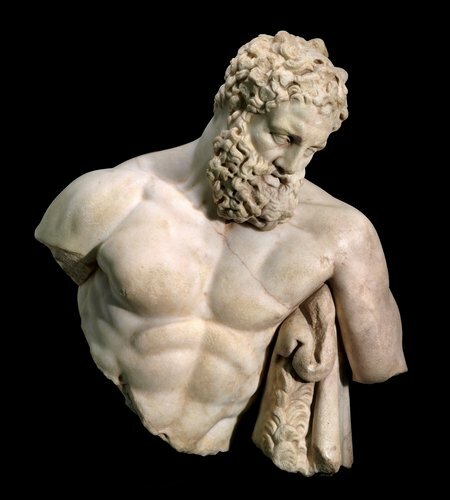 The top half of the “Weary Herakles” statue recently returned to Turkey by the Museum of Fine Arts, Boston. Efforts by Turkish officials to repatriate antiquities they claim are looted have gotten more aggressive and some museums are crying foul. According to a front page New York Times article, museums that refuse to return artifacts claimed by Turkey will be cut off from any future loans for exhibitions. Turkey asserts 1906 as the cut off date for the export of antiquities, rather than the generally accepted Unesco convention date of 1970. Given how effective Italy has been in repatriating illegally excavated works from The Getty, the Metropolitan Museum of Art and other institutions, this move by Turkish officials should come as no surprise to the museum community. What remains to be seen is how many more countries will pursue similar efforts. Big, Blue $43.8 million Newman "Zip" Painting leads Sotheby's Contemporary Art Sale - UPDATED with sale results.